Here's a Steam code for Indie Game: The Movie. Quote to see. Looks like it got claimed. If you don't want lurkers to get codes then use Modbot with the appropriate conditions included. 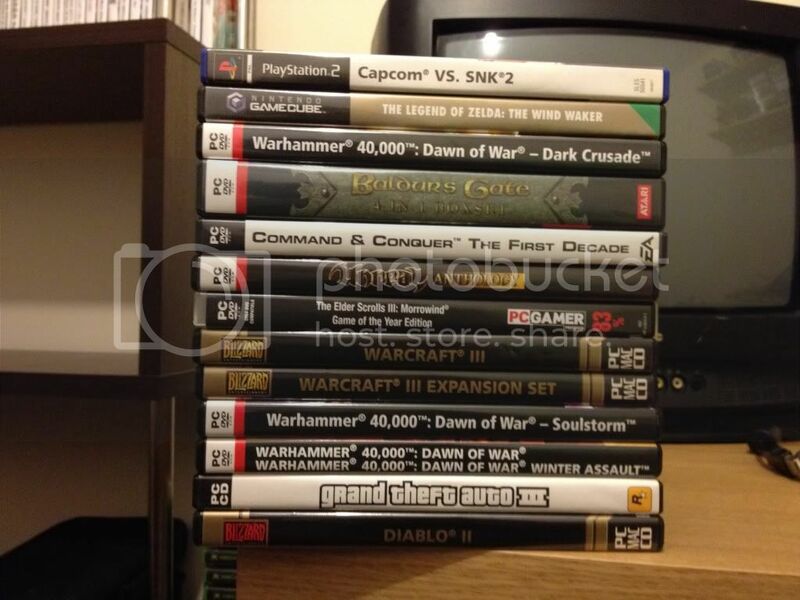 I am giving away all these games that are in the quoted picture. 11 PC games, 1 PS2 game and 1 GameCube game in ONE bundle. They are all in excellent condition. There is just one condition - they are pick up only. I have moved house, had a clear through my games and these are what are left and I just want to give them to someone who would enjoy them rather than sitting in a box. I have no interest in shipping them anywhere but if you want to come collect, they are all yours for free. Awesome giveaway sir. Just curious, what does that Baldur's Gate box has? I recently bought that compilation, however it is on a standard dvd box, with only the discs and no manual whatsoever. This key can be used multiple times (unlimited?) btw. Basically EA is giving away BF3 for free. Not sure where it is coming from, but I heard it's an official EA promotion. Hey Recall, I posted your listing in BritGaf since there might be a local gaffer there who might be able to pick up those games. Yes, I used it already. Saw it on a website posting all kinds of deals. Don't know how useful any of this stuff will be to anybody and don't care if lurkers get it because stuff probably isn't that good anyway, but here are some random free codes. edit: I don't think there's more than one destiny code guys - person that asked "Only one person?" wasn't the original dude offering. I'll bite! See you in the future. If you still have one I would take one. Claimed the Xbox 360 Prototype 2 Hardened Steel Vehicle Armor DLC, thanks! Only one? Or do you have several? I'm very interested . Quoting just in case you get like a truck load. Click the cover for a sample from each album. Spencer Krug and a piano. No backing band. PM me if interested in any of them. Or all of them. Japanese Club Nintendo code from a 3DS XL Circle Pad Pro. what platforms is destiny launching on? I still have a Hearthstone Beta Key cause I'm not interested in playing it now. Xbox 360, Xbox One, PS3 and PS4. Would be nice of you, thanks, plan to play on PS4.